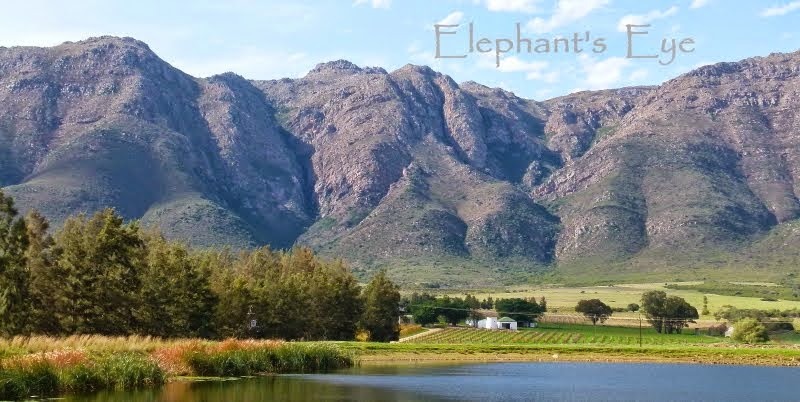 We live in Porterville, across the valley from Piketberg and Moutonshoek, where threats of a huge open-cast tungsten mine have materialised as the first exploratory drilling. 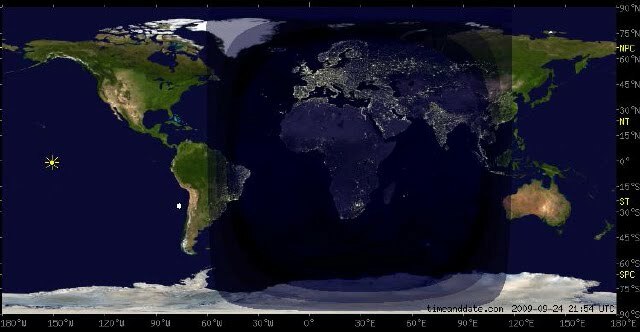 This is where most of South Africa’s potatoes are grown – let them eat tungsten! Between agriculture and horse breeding there is a skilled labour force, which would be sidelined by mining. Destroying farm-land in a dry and hungry country, and leaving more local farm-workers unemployed. Contributing slime dams on dodgy geology and clouds of toxic dust. Tungsten for old-fashioned incandescent light-bulbs, guns and drill-bits. 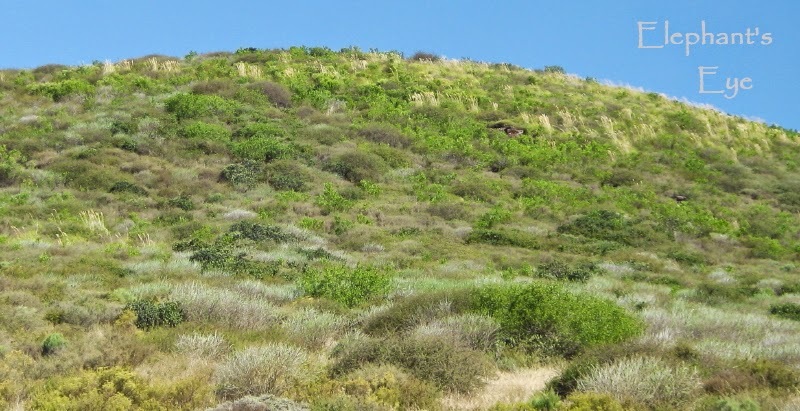 Moutonshoek is upstream from Ramsar Convention wetland Verlorenvlei and would reduce and contaminate that water supply for the migratory birds. We each have a story to tell. Reinsurance adds up the figures to prove climate change, and insurance could no longer pay for climate damage to your home. 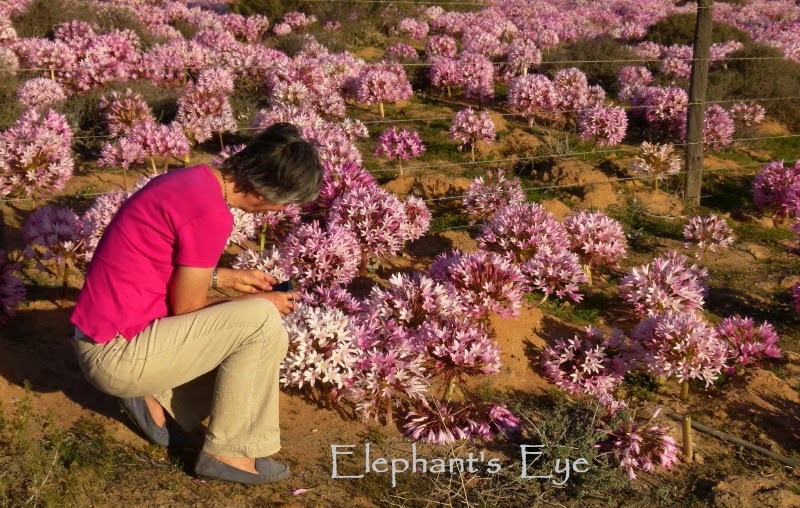 Near Moutonshoek we stopped in April 2012 for a firework explosion of pink lilies! So spectacular when we were at the right place at the right time. When we passed there the other day, simply a dusty farm road and a rocky outcrop biding its time. 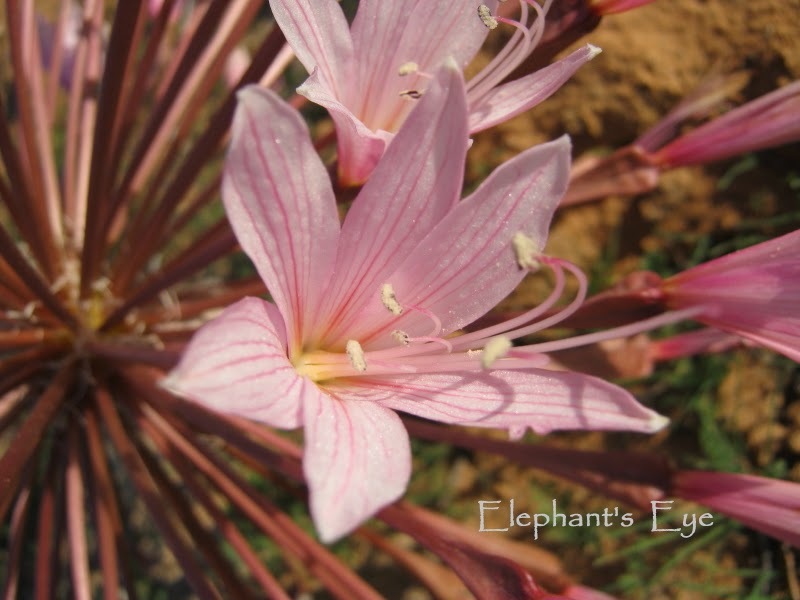 Malgas lilies. Ammocharis longifolia. 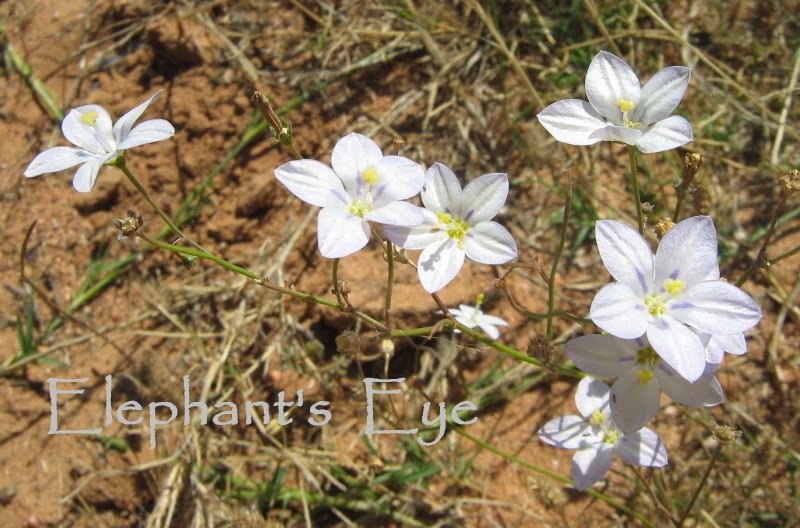 (Ammocharis from the Greek meaning the delight of sandy soil. Formerly Cybistetes). They grow where the rock outcrops prevent ploughing. In profusion after fire, burning the stubble from last year’s wheat. When the flowers are done, the seedheads become tumbleweed. Trapped against barbed wire fences as they attempt to migrate across country. Every so often the Ungardener gets cabin-fever. Then he has to Go Somewhere. 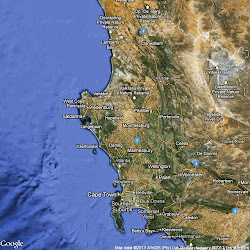 I have pulled all our Somewheres together as South Africa. Mostly it is out for the day, sometimes we are in a National Park. 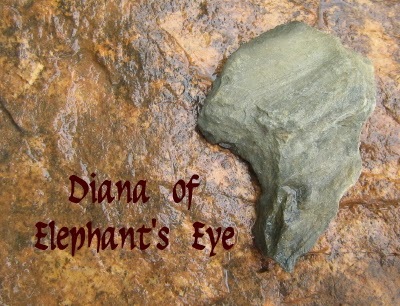 During 2014 I am teasing apart posts which will remain here on Elephant's Eye as travelling from Porterville. 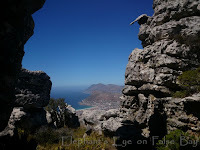 Cape Town, False Bay and beyond I'm moving across to Elephant's Eye on False Bay. Moutonshoek farmland is behind those hills. Taken from the Piketberg to Eland's Bay road. This is the farmland. Weird crop circles are from pivot irrigation. Mostly potatoes. 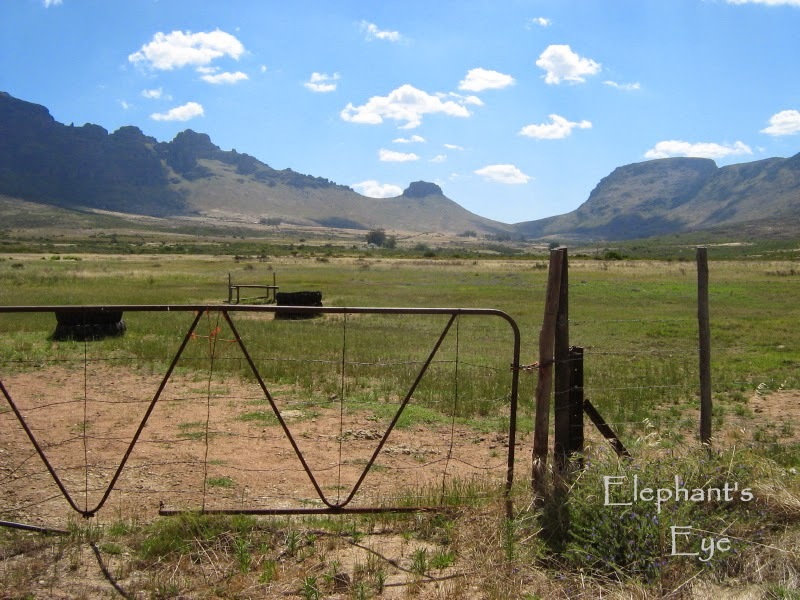 These four pictures are of Moutonshoek in December 2009. Across the wide valley to Piketberg, and around their mountain to Moutonshoek. From here the water feeds down to Verlorenvlei, a Ramsar wetland. I couldn't identify this white flower. 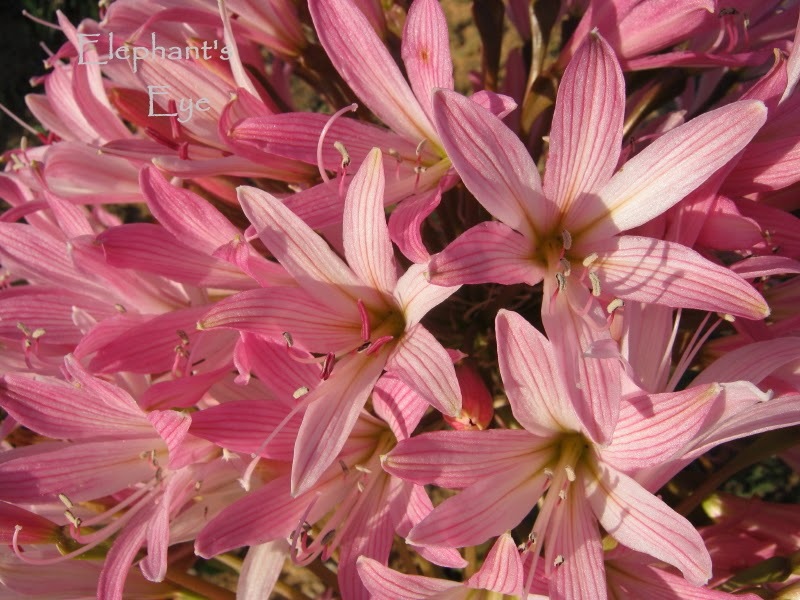 A nameless bulb stands as a token for wildflowers of Moutonshoek among a tapestry of colours and textures, quilted by nature. 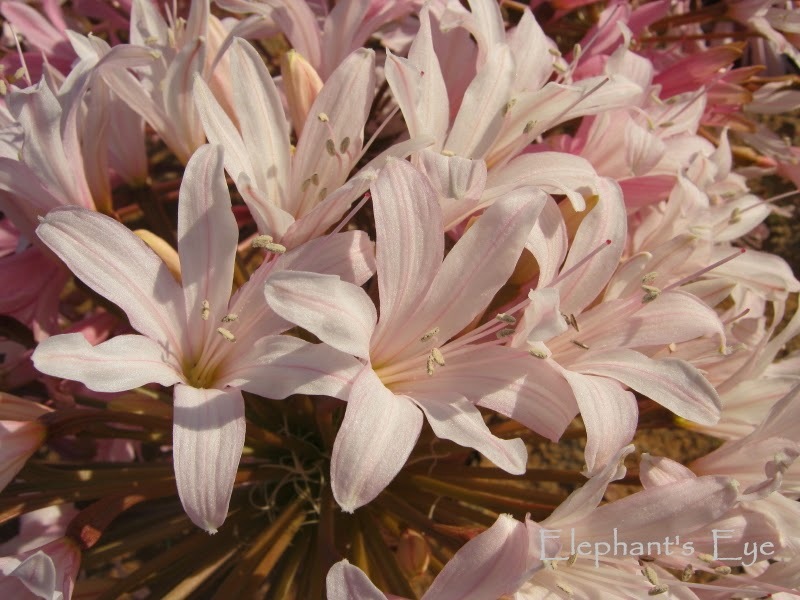 I have never seen these lilies before, they are fantastic. I can imagine these being tumbleweeds. 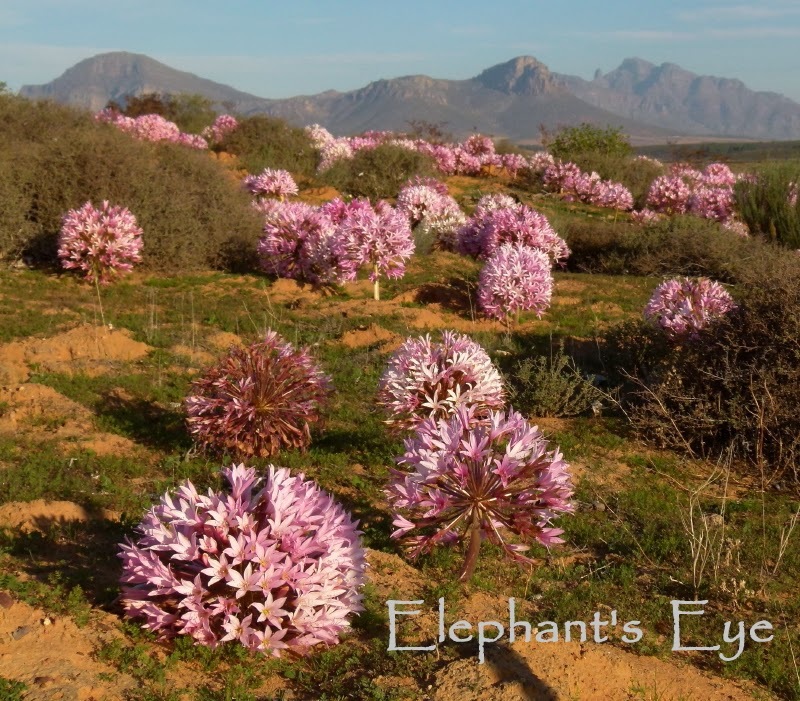 Which brings to mind the heads of Allium aflatunense - are they tumbleweeds as well, only smaller? Allium, those perfect spheres of blue flowers standing tall! When I saw the first photo, I thought it was photoshopped! I couldn't believe they would grow in that shape across a field. But then I saw the photo with you looking at them for scale to see that they are real. Wow, that must be stunning to see in person! Like Elke, I thought of ornamental Alliums too. Great post! Diana, the tungsten story (I do not even know the stuff) left me with tears and you saved the day with your most beautiful photos of lilies. Beautiful things make us forget especially if it feels so beyond our control to stop a process. Once again, please educate me: Are these lilies also called March lilies of which I had a unexpected clump one year and never again? 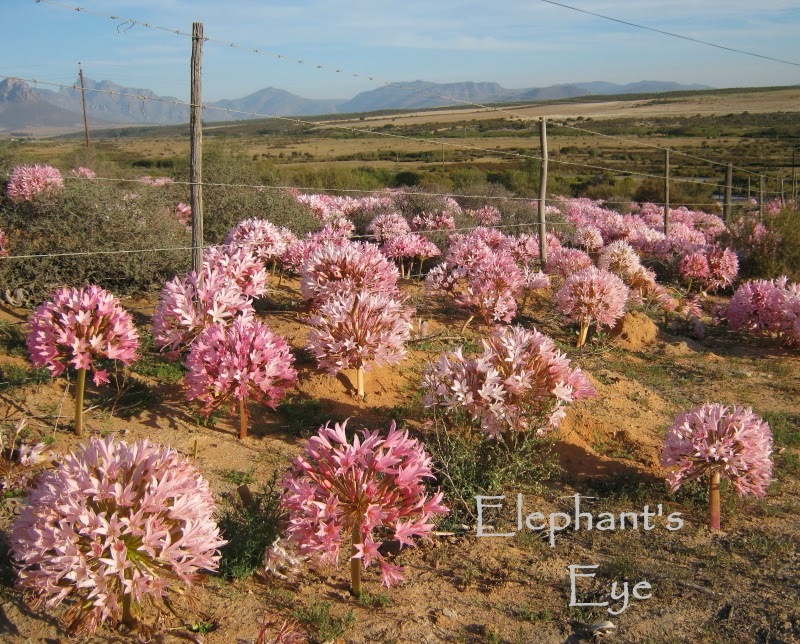 I am on my way home after a month in Natal and will soon know whether I have some pink lilies this year. Both March and Malgas are in the Amaryllidaceae with daffodils etc. WOW, Now I raise Brunsvigia bosmaniae in my greenhouse, and it has bloomed three times for me, and I never knew that it was so similar to Ammocharis longifolia when seen in the wild. How beautiful. Images like yours are what make me want to live in South Africa. Thanks for sharing, what an amazing spectacle of nature. Those pink lilies are stunning...funny how they want to mine something that has little use since old light bulbs are becoming a thing of the past.